The Bronx REACH CHAMPS program aims to reduce obesity and improve the overall health and wellness of the Bronx's culturally and ethnically diverse population. Bronx REACH CHAMPS works with such community programs as Bike New York, New York City’s leading proponent of cycling as a practical, sustainable, and healthy means of transportation and recreation. 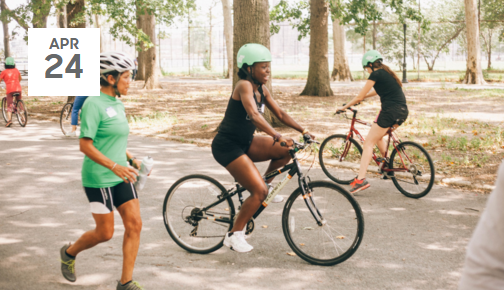 With the weather getting warming outside, Bike New York is scheduling free classes in the Bronx to provide opportunities for the community to stay physically active. Check out the recently announced schedule of April 2016 classes below. Bike Practice Session is a 2 hour, supervised practice session, not a structured class. Participants can practice on one of Bike New York’s loaner bikes (if you register in advance), though we encourage using your own bike. 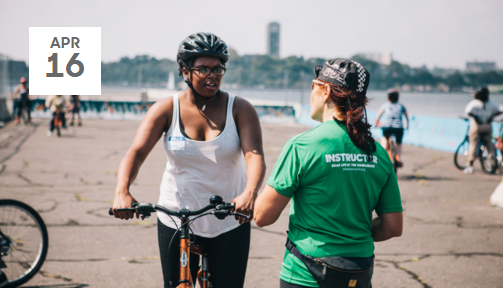 We provide a safe, controlled learning area and the watchful eyes of Bike New York’s trained coaches, who will offer tips on how to effectively stop, start and steer a bike. Bike Practice Session is intended for recent Learn to Ride participants, but we welcome anyone who isn’t confident with their bike control skills. Equipment: Bicycles and helmets will be provided to those who register online for the class*. Bike New York's free package of a Learn to Ride – Adults class and a Bike Practice Session are designed to get you riding with confidence and competence after just two classes, two hours each, a week apart. Register for the two classes at once, making registration easy and ensuring that you won’t get closed out of Bike Practice Session. In order to really take advantage of our Learn to Ride class, participants should practice their new skills soon after. 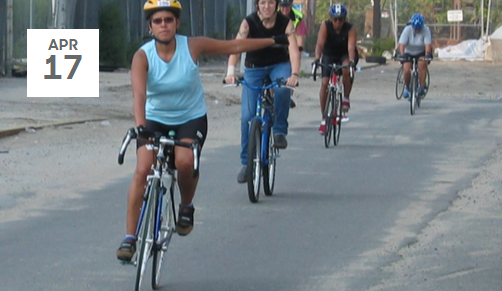 Since that may prove difficult for someone who doesn’t have a bike or a safe place to practice, we have packaged together our proven Learn to Ride – Adults class with our new Bike Practice Session, scheduled one week apart at some of our Bike Ed Centers. Learn to Ride students learn how to balance, pedal, start, stop, and steer a bike, as well as adjust a helmet for proper fit. Most people learn to ride in one session, but even if they don’t, they’ll leave equipped with an easy, low-stress way to teach themselves—or, they can join for another free class! Bike New York's Bike Practice session is designed for students to further practice the skills they’ve acquired in Learn to Ride. Remember, practice makes perfect! Class Duration: Each class is 2 hours long. Class Location: Traffic-free Community Bicycle Education Center – NOT ALL locations offer this package. Age Restrictions: Students must be at least 14 years old. Participants between 14 and 18 years old must attend with a legal guardian.